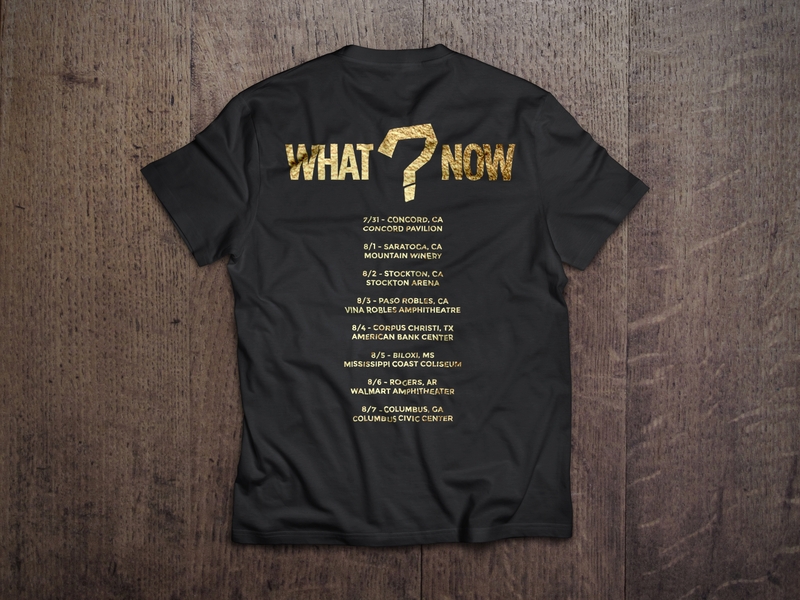 When funnyman, Kevin Hart, asked me to create and recreate the official What Now? Tour t-shirt, I was happy to oblige. 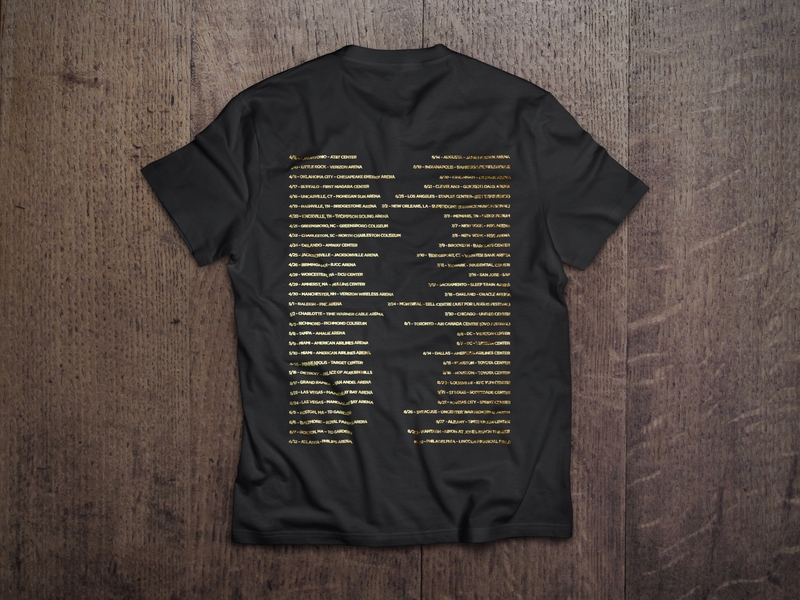 With a record-smashing, never-before-seen sold-out tour across the globe, it only seemed right to offer fans a gilded experience, so we upped the ante with special Gold printing and short-run tour dates on the back of each short. We created shirts to commemorate each leg of the 2015 and 2016 tour. 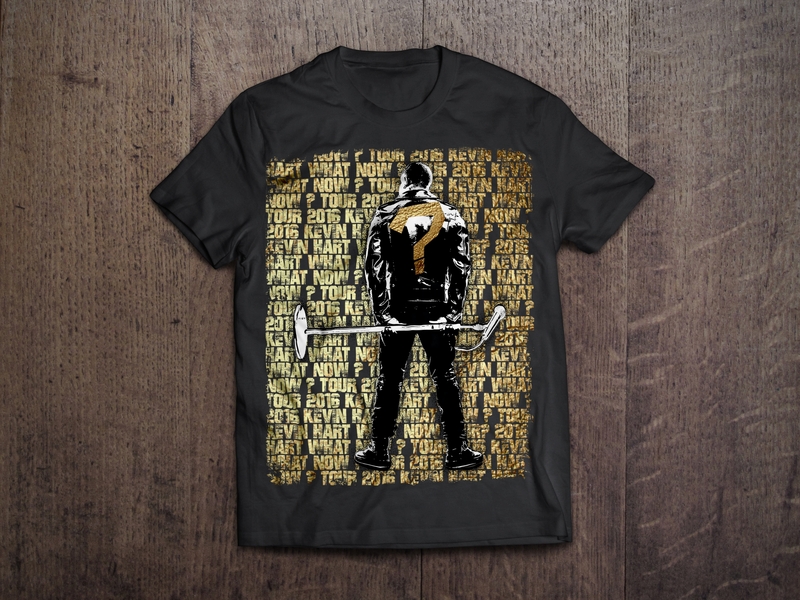 So, each shirt is a keepsake from the What Now? Tour experience.